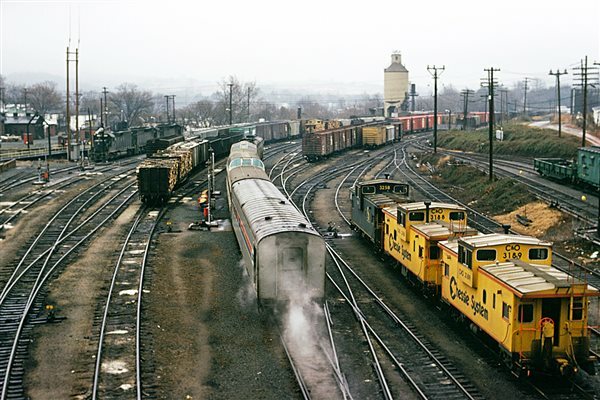 Railroads have had a significant presence in the U.S. since the middle of the nineteenth century, both physically and via their role in the nation’s economy. As a result, evidence of the past is often present in many cases as we look at the contemporary scene. This holds true for their geographic presence, in terms of right-of-way, in many cases and track gauge, at least once the wholesale move to ‘standard’ gauge, in the 1880s, was accomplished (and yes, there will almost always be outliers proving the rules, even now). Thus, there is significant continuity in the railroad industry, both obvious, and more obscure; sometimes visible directly, and other times essentially hidden. On the other hand, there have been significant changes as the industry has evolved, both positive and negative. 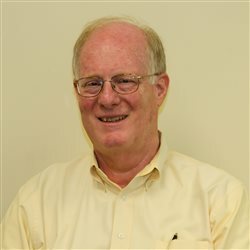 Dieselization; the loss of railroad-operated passenger services; railway post office cars (RPOs); and for that matter, mainline freight railroad electrification, which, seemingly has both come and gone in this country. 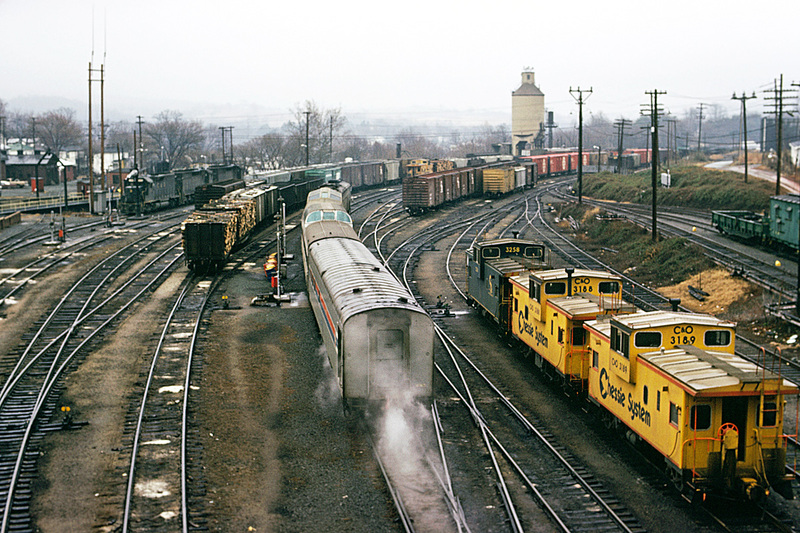 Elements of both continuity and change are readily visible in this photograph of the Newport News section of what was Amtrak’s eastbound James Whitcomb Riley departing Charlottesville, Virginia on February 1, 1975. Running on essentially the schedule of the Chesapeake & Ohio’s Sportsman, prior to its discontinuance in the late 1960s, the Riley, now a through train from Chicago, rather than originating on the C&O at Cincinnati, was switched into two sections at Charlottesville, with the larger bound for Washington, DC, and the rest, seen here proceeding to Tidewater Virginia’s Hampton Roads area. The equipment on both was largely traditional, pre-Amtrak, although the “mainline” train utilized one of Amtrak’s then relatively-new SDP40F cowl units; this portion of the train, number 98, was powered by EMD E8 213, which had grown up not far from here on the RF&P. Of course, the equipment now belongs to, and is painted in the colors of Amtrak, not quite six years old at this point. Two-thirds of the passenger cars on this short connecting train are graduates of the postwar B&O all-coach streamliner The Columbian: a dome coach (deadheading) and what had been the “Silver Spring”, one of the two baggage-lounge-dormitory cars that ran at the front of the streamliner’s consist, and now provide what modest food service is available on this run. The most blatant evidence of continuity, needed or not, of course, is the coaling tower back in the yard; a close second is the steam issuing from the combine’s baggage end; head-end power will come to the Northeast Corridor in the form of Budd’s Amfleet later in 1975, but it will be awhile before it Is commonplace elsewhere. Visible in the freight yard is considerable evidence of “loose-car” boxcar-oriented railroading, with a few pulpwood flats thrown in for good measure, complete with cabooses to carry the markers. A traditional camp car for the maintenance of way forces is also on display. And while the motive power present is relatively modern, its paint scheme wouldn’t surprise a C&O employee from the mid-1950s that was fast-forwarded by time machine to view this mid-1970s scene. And yet, evidence of more radical change to come is the presence of the portion of the caboose fleet present that wears a bright yellow livery, and carries the name of an entity that isn’t an actual operating railroad, the “Chessie System”, although the reporting marks still indicate “C&O”. And indeed, change has occurred since 1975. There no longer is a Tidewater section of what is now Amtrak’s Cardinal, which still plies this route between Chicago, Washington and beyond to New York City. Today’s railroad operator here is the Buckingham Branch Railroad, which replaced the CSX, which had replaced the Chessie System. Cabooses have all but vanished, and Amtrak Genesis units have supplanted both the SDP40Fs and the F40PHs that replaced them. But railroading is a business where continuity and tradition, still play a role, in many cases. Check out Google Earth, and discern that the coaling tower, albeit sans any connection to the railroad, is still there.